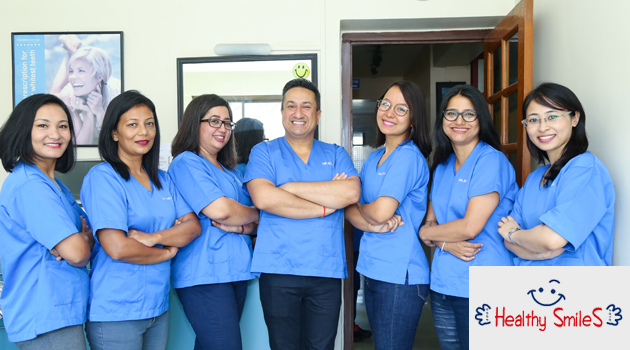 Started in the year 2000, with a vision to provide “The Best in Dental Care”, Healthy Smiles is privileged to be serving patients under our care from home and abroad, with the same zeal and commitment. Our patient’s trust and goodwill is what we have earned in this one decade of our service. 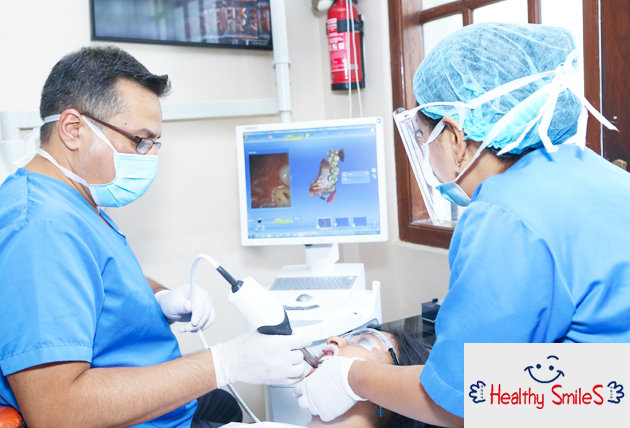 Established in the year 2000 in the heart of Kathmandu, Healthy Smiles has been serving the foreign missions, tourists, diplomats, UN staff and expatriate communities along with local Nepalese patients with a commitment to provide the care, that is of an International Gold Standard. Served by the team of 24 staff, our team strives always towards bringing that “healthy smile”, on every patient that walks in of our door. Our goal is to work towards the smile that lasts for a long period of time. We strongly believe in dentistry that is minimally invasive and work towards enriching your smile by using the best that is there in today’s world. Our doctors are forever in their pursuit of knowledge, so as to be able to provide the best that is there to ourpatients in today’s world. Besides many other trainingsand updates on a regular basis, 6 of our doctors have a postgraduate diploma MFGDP(UK) from the Faculty of General Dental Practice of the Royal College of Surgeon’s of England in London, world’s authority inthe practice of evidence based dentistry, always working towards better patient care. Our aim is always towards continuing our education so that we are able to provide the best that is there in this world. Dental practice can be a very dangerous place if one is not careful about their infection control. Healthy Smiles is privileged to be the first dental care provider that is complying with the EU infection control guideline in Nepal. All the used instruments and surfaces undergo a rigorous procedure of cleaning and disinfection. 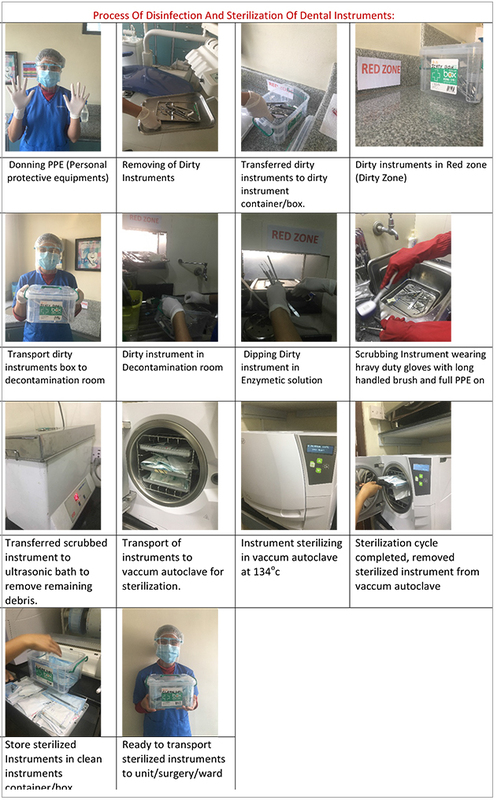 We use Vacuum autoclave to sterilize our instruments and handpieces and are pouched according to HTM 01-05 ( Health Technical Memorandum) Guidance. Health Technical Memoranda is one of several guidance whose main aim is to intended to progressively raise the quality of decontamination work in primary care dental service by covering the decontamination of reusable instrument within dental facilities and the focus remains on healthcare-specific elements of standards, policies and up-to-date established best practice. Medical emergency can occur anywhere and dental practice is not an exception. We, being in the medical related profession update ourselves on a regular and our medical emergency equipment are ready at all times in case any emergency occurs. We follow Resuscitation Council UK Guidelines. We have been privileged to be one of the first practices in the country to provide digital radiograph and dental implants. We have gained an enormous amount of expertise through experience and training on the field in these past years. Regular follow up of our patients reveal that our success rate to date is very high. Using the best system that is evidence based in today’s world and proper treatment planning has been the key to this success. We are yet again privileged to be the only practice in the country to be providing Ankylos implants from Friadent Germany, an evidence based implant system from University of Frankfurt with an excellent track record of almost 25 years.